COSCO (Dalian) Shipyard Co has delivered an bulk carrier, “FLAG LAMA”, to its European buyer, the company said in its press release. The delivery documents were signed by and between COSCO Dalian and the buyer recently. The bulk carrier measures 229 meters in LOA (length of all), 32.26 meters in breadth and 20.05 meters in depth. COSCO (Dalian) Shipyard is one of the core subsidiary enterprises of COSCO Shipyard Group. Its main business is ship and offshore repairing, conversion and new building. Cosco (Dalian) Shipyard, subsidiary of Cosco Shipyard Group, has reached an agreement with Bermuda-based rig owner Northern Offshore to further delay the delivery dates of two jack-up drilling rigs amid challenging offshore drilling market. Dalian shipyard received an order for two LeTourneau Super 116E jack-up drilling rigs in November 2013 and the plan was to deliver the rigs in 1H2016 and 2H2016, respectively. According to the new agreement between the Chinese yard and Northern Offshore deliveries of the two rigs will also be deferred until further notice. 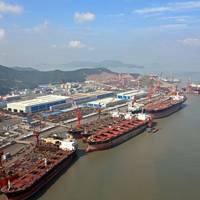 Cosco (Nantong) Shipyard, a subsidiary Cosco Shipyard Group Co, has won an order to build one self-elevating workover unit for an Asian shipowner, with an option for one more similar unit. Cosco Nantong and the ship owner have agreed to keep the contract price confidential. According to Cosco’s news release, the unit is scheduled for delivery in the third quarter of 2017. The option may be rendered effective by the ship owner at any time 4 months after but not later than 6 months of the construction contract. Shipbuilding and dry bulk shipping company Cosco Corp (Singapore) expects to post a loss in the third quarter ended September 30, 2015 compared to a profit recorded in the same period a year earlier. The financial pain comes on the back of the offshore slump, shipbuilding slowdown and highly depressed dry bulk shipping market. As a result, the group incurred higher costs for a few delayed projects as well as write-down of certain inventory. Provisions for impairment of trade receivables have also been made. Two shipyards under Cosco Shipyard Group have pushed back the delivery dates for two converted high-end floating accommodation unit (FAU) at the customer’s request. Cosco (Nantong) Shipyard, a subsidiary of Cosco’s 51% owned subsidiary, Cosco Shipyard Group Co., said the delivery date of a FAU built at its yard will be extended for a period of not more than 12 months from its original delivery date of October 2015. The delayed FAU is the second of two units ordered by the shipowner for construction at Nantong facility, and the first unit has been delivered. Cosco (Guangdong) Shipyard secured a contract worth over 129 million yuan ($20.8m) to build one research vessel, to be delivered in the fourth quarter of 2017. The contract will become effective upon the receipt of letter of guarantee from the shipyard's bank. Cosco (Guangdong) Shipyard is a subsidiary of Cosco Corporation (Singapore) Ltd's 51 per cent-owned subsidiary, Cosco Shipyard Group. The contract is not expected to have a material impact on the net tangible assets and earnings per share of Cosco Corporation (Singapore) for the year ending Dec 31, 2015. 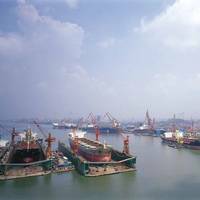 The Board of Directors of COSCO Corporation (Singapore) Limited have informed that COSCO (Guangdong) Shipyard Co., Ltd, a subsidiary of the Company’s 51% owned subsidiary, COSCO Shipyard Group Co., Ltd, has secured a contract valued at approximately USD30 million from a European buyer to build one (1) 4500 square meters Livestock Carrier. The Livestock Carrier is scheduled for delivery in the second quarter of 2016. Additionally, the ship owner has an option to render effective, within six (6) months, one (1) contract for the construction of a similar vessel. The Board of Directors of COSCO Corporation (Singapore) Limited announced that COSCO (Dalian) Shipyard Co., Ltd ("COSCO Dalian"), a subsidiary of the Company's 51% owned COSCO Shipyard Group Co., Ltd, has delivered a 80,000 DWT bulk carrier, "FLAG ZANNIS", to its European Buyer. The delivery documents were signed by and between COSCO Dalian and the buyer recently. The vessel measures 229 meters in LOA (length of all), 32.26 meters in breadth and 20.25 meters in depth. 1. COSCO (Qidong) Offshore Co., Ltd Contract from a Singapore entity to build one (1) Floating Accommodation Unit (FAU) scheduled for delivery in 1Q2017. The buyer has also secured options for five (5) additional FAUs. 2. COSCO (Dalian) Shipyard Co., Ltd The contract under the first option cited in the announcement dated 12 September 2013 to build one (1) 21,000DWT Module Carrier for a European company has been rendered effective. The vessel is scheduled for delivery in 2Q2016. Save for their respective shareholdings in the Company, none of the directors or controlling shareholders of the Company has any interest, direct or indirect in the contracts. The Board of Directors of COSCO Corporation (Singapore) Limited announced that COSCO (Nantong) Shipyard Co., Ltd a subsidiary of the Company's 51% owned COSCO Shipyard Group Co., Ltd, has delivered one jack-up rig, “KAI XUAN YI HAO”, to its Asian buyer. The delivery documents were signed by and between COSCO Nantong and the buyer recently. The jack-up rig, measuring 66.71 meters in LOA (length of all), 67.06 meters in width, is designed to operate at water depths of 400 feet and is capable of performing drilling operations at depths of up to 35,000 feet. Contracts from a European company to build one (1) DP3 accommodation barge scheduled for delivery in 3Q2016 and an Asian company for two (2) 64,000DWT bulk carriers scheduled for delivery in 1H2016. Additionally, the contract under the second option cited in the announcement dated 12 September 2013 to build one (1) 64,000DWT dry bulk carrier for a European company has been rendered effective. 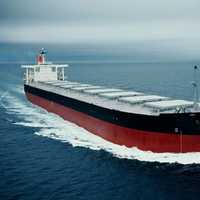 The bulk carrier is scheduled for delivery in 2Q 2017. Contracts from an Asian company to build two (2) 82,000DWT bulk carriers scheduled for delivery in 4Q2015 and 1Q2016 respectively; and a European company to build two (2) 82,000DWT bulk carriers scheduled for delivery in 2Q2016 and 3Q2016 respectively. COSCO Shipyard Group has announced that it has been awarded options by the Singapore-based Chellsea Group for the construction of four platform supply vessels designed by Rolls-Royce. With this contract, COSCO has ordered integrated design and equipment packages for a total of eight Rolls-Royce UT 771 WP platform supply vessels, with an option for further two. The first four are currently under construction, while the subsequent four are scheduled for delivery between the second quarter of 2016 and the first quarter of 2017. COSCO Shipyard Group announced that it has been awarded options by the Singapore-based Chellsea Group for the construction of four platform supply vessels designed by Rolls-Royce. With this contract, COSCO has ordered integrated design and equipment packages for a total of eight Rolls-Royce UT 771 WP platform supply vessels, with an option for further two. The first four are currently under construction, while the subsequent four are scheduled for delivery between the second quarter of 2016 and the first quarter of 2017. All eight vessels will be added to the fleet of two UT 755 LN vessels that are already in operation with Chellsea. COSCO Corporation inform that its subsidiary Dalian Shipyard has been contracted to build a jack-up rig based on the LeTourneau Super 116E Class design. 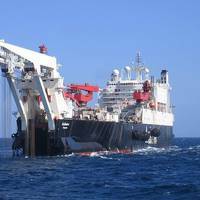 The US$184-million order has been placed by Derwent Ocean Limited S.A, part of Foresight Group. COSCO inform that the new rig will be built to ABS classification, with notation A1, and will be a self elevating drilling unit capable of drilling HPHT wells. It will be capable of operating in 350 feet water, with accommodation for up to 120 persons onboard. Delivery is scheduled for the third quarter of 2016. 1. COSCO (Dalian) Shipyard Co., Ltd., has secured a contract from an Asian company to build four Emergency Response / Rescue / Field Support Vessels (ERRVs), scheduled for delivery in the first half of 2016. 2. Two shipbuilding contracts signed by COSCO (Guangdong) Shipyard Co., Ltd, with a European ship owner for the construction of two PX121 Platform Supply Vessels (PSVs) have been declared effective. The two vessels are expected to be delivered in the first and second quarters of 2016 respectively. COSCO Corporation (Singapore) inform that its Dalian Shipyard in China has delivered a bulk carrier of 57000 dwt, named "GUOTOU 108", to its Asian buyer. The Handymax bulker measures 189.99 meters in LOA, 32.26 meters in breadth and 18 meters in depth. Founded in June 2001, COSCO Shipyard Group Co., Ltd, is a subsidiary of China Ocean Shipping Company (COSCO). It specializes in large vessel construction, marine engineering, conversion, and providing ship repair services. The group has shipyards in Dalian, Nantong, Zhoushan, Guangdong Province, Shanghai, Lian Yungang and other places in China. COSCO Corporation (Singapore) informs that its COSCO (Dalian) Shipyard subsidiary has delivered the 82,000 dwt bulk carrier "UNION VOYAGER", to its European buyer. The new ship measures 229 meters in LOA, 32.26 meters in breadth and is 20.25 meters in depth. Founded in June 2001, COSCO Shipyard Group Co., Ltd, is a subsidiary of China Ocean Shipping Company (COSCO). It specializes in large vessel construction, marine engineering, conversion, and ship repair services. The group has shipyards in Dalian, Nantong, Zhoushan, Guangdong Province, Shanghai, Lian Yungang and other locations in China.